If you live in central PA, you know this past week was HOT! The sun was shining, the air conditioners were cranking, and my poor little puppy dog was panting. Things sure seemed like summer this week, but even though it was hot outside, the fishing didn't quite keep pace with the weather. 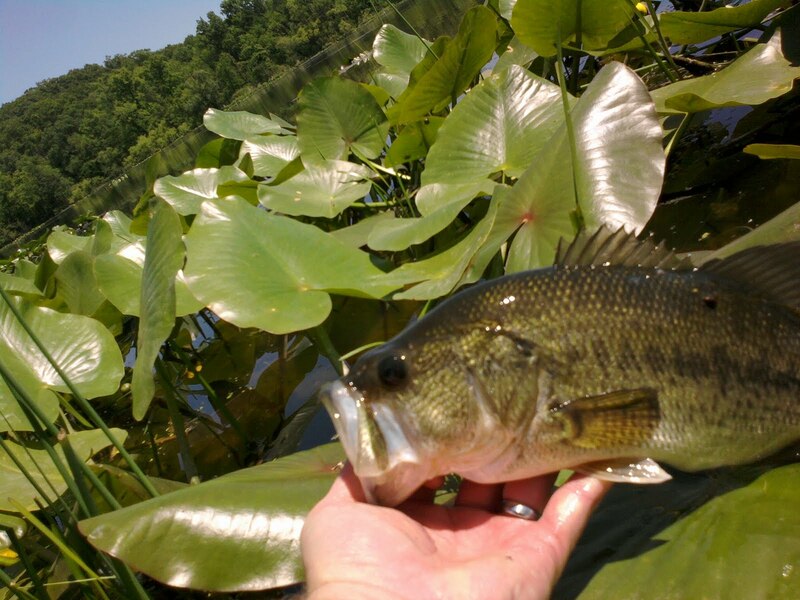 As luck would have it, I was able to get out and terrorize some of our local bass this past week... I hit the water 3 times--one quick trip between shifts at work, one morning on the river with my Dad, and one evening trip with Marianne and Lucy to a local lake. The good news was that all three trips were successful... Each trip was a learning experience, and I or we caught fish on each trip... As far as the fishing goes however, I think I would rate the bite this past week as a little bit slow (even though the fallfish bite on the river was stellar, lol). Generally after the spawn you hear talk about a "post-spawn funk, " and I think that's what we were seeing this past week. 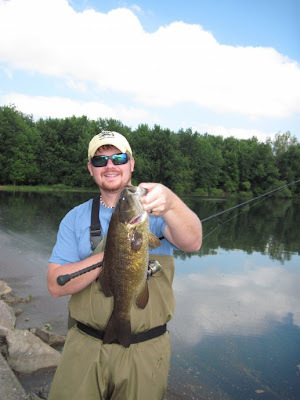 I did hook and land a couple decent fish this week--including one especially nice smallmouth--but in general, it seemed like the most active fish were the little guys...which is typical for post spawn pattern. 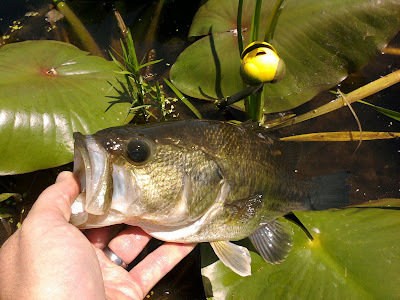 I think the larger fish just needed something a little bit extra to trigger a bite this week, and for the most part, I missed it. The one large smallie that I did land this week, came up from relatively deep water to hit a large soft plastic jerkbait near the surface... I didn't expect it as the time, but I was happy when it happened! So just FYI... keep that in mind if you hit the river in the next couple of weeks. To close this entry, I'd like to post a link to the PFBC website involving the upcoming meetings that are being dedicated to smallmouth management in PA. The public is encouraged to attend these meetings. Personally, I'm interested in attending the meeting on Saturday June 5th in Harrisburg. So if you are interested in going, let me know and maybe we could meet up. Either way, hopefully the hot weather didn't keep you inside this past week. There are definitely some fish out there willing to bite, and hopefully things will continue to pick up as we move on from this spring season towards summer. I'll see you on the water!